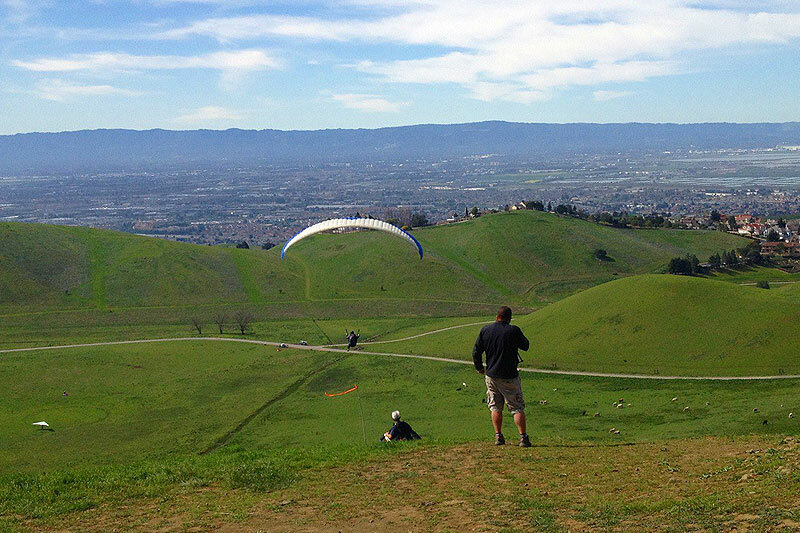 We offer 1-Day, 2-Day, Tandem Flights and More Here in the San Francisco Bay Area. We provide instruction and tandem flights seven days a week from sunup to sundown. We let you train at your own pace and schedule. Our students pick their rate of progression, and we are there to keep you in check if you get ahead of yourself. Lesson’s last all day or until the weather won’t allow. We value your time and money spent and strive to make the most out of the each lesson flying, kiting, ground school, or debriefing the day’s lesson. We pride ourselves on being there long after you’ve received your Novice Paragliding Rating. 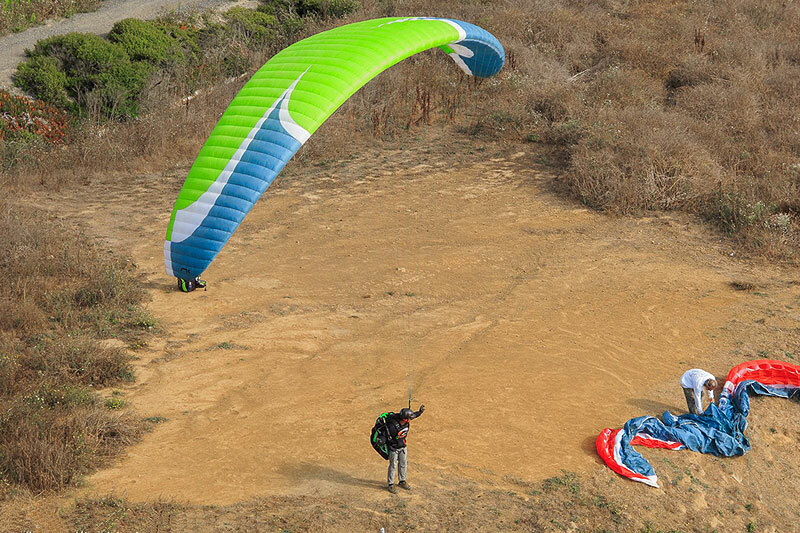 All Lift students are welcome and encouraged to join in on local flying trips, Lift paragliding tours, monuver clinics, or just another day at the training hill. All our students are treated with respect, never belittled, and never yelled at. Lift strives to make each lesson fun, informative and safe. Your 1-day introductory lesson begins with an equipment introduction and demonstration. You begin ground handling, also known as ‘kiting’ with the aid of your instructor. We practice inflating and controlling the wing on the ground, learning the launch sequence, discussing the landing, and steering skills before introducing the element of flight. The 2-day introductory program includes an introduction to the paraglider and associated equipment, basic weather, and ground handling that will lead to your first low altitude solo flights. 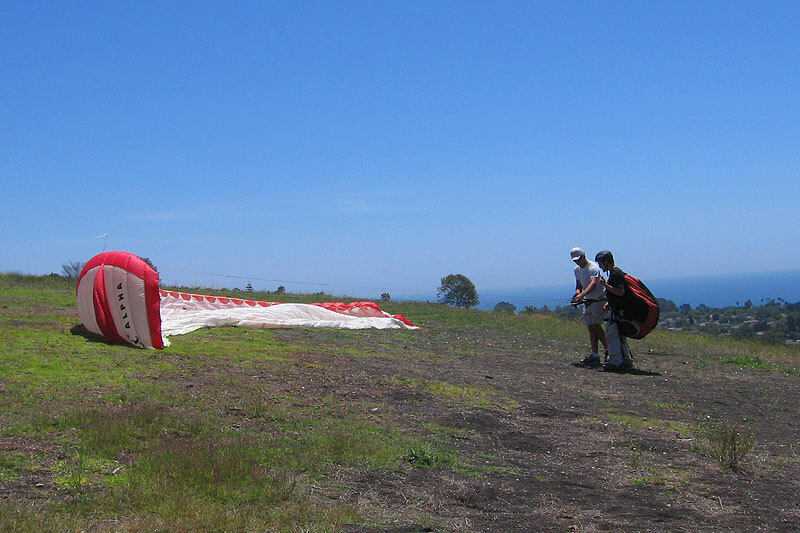 This program also consists of ground school on the mechanics, equipment, and techniques involved in paragliding. The course is designed as an introduction to the sport that will enable you to make an educated decision regarding paragliding and you. If you decide to continue with the Novice (P2) program, fees will be applied towards the Novice Certification fee. 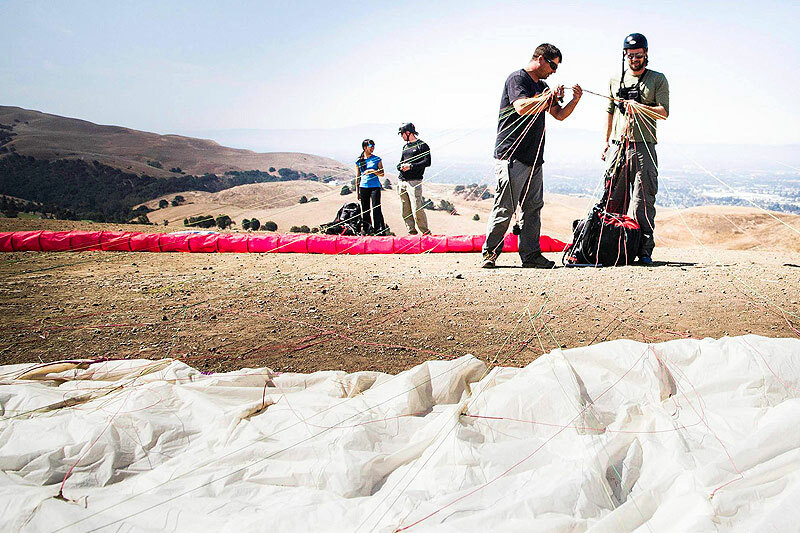 You have made the decision to become a certified paraglider pilot. This program is an intensive course designed to produce a safe, confident and competent pilot. During this program you will learn about glider aerodynamics, meteorology, thermal flying, ridge soaring, flight maneuvers and emergency procedures. We focus on building your launching, landing and flight techniques through intensive ground handling (kiting), low altitude solo flights, flight simulations and ground schooling. You will complete the USHPA-mandated amount of ground-school time, flights, and flying days. The course length is variable; the average student should expect to spend 7-12 days of training with us. After the completion of the course you will have acquired the skills and knowledge to fly without direct instructor supervision at certain sites. This is the start of your Paragliding career. You will have the greatest success learning to paraglide if you can immerse yourself in the course and then continue flying or kiting regularly after completing your lessons. Private lessons are also available and our fees are structured on an individual basis. For those who want to find out what paragliding is all about but not wanting to commit to lessons, we offer instructional tandem flights. The tandem flight consists of a short briefing followed by a pre-determined flight time. If good soaring conditions are not available, the flight will be re-scheduled. During the flight the pilot will explain what he is doing, and allow you some hands-on control of the glider. A tandem flight is best for the person seeking an exciting one-time experience, with minimum commitment. What should I bring to my tandem flight?